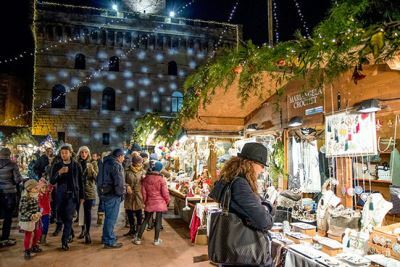 The village of Montepulciano, renowned all over the world for its Renaissance architecture and Vino Nobile, is transformed with the Christmas markets during the Christmas time. From 17th November 2018 to 06th January 2019 Montepulciano will be the ideal place to visit for adults and children, where you can buy Christmas decorations and typical local products in the wooden houses of the Christmas markets and visit the castle of Santa Claus. Children can meet Santa and make lots of fun games and activities. Here are our suggestions to stay a few days in Montepulciano and visit the Christmas markets and the Castle of Santa Claus.